"THE HARDEST WORKING CLOWNS IN AMERICA." 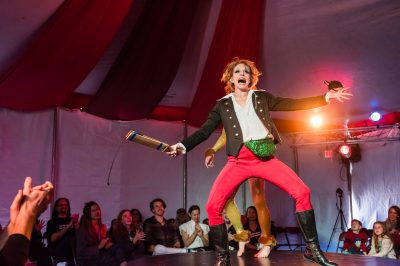 Physical comedy, dance, slapstick, acrobatics, audience participation and plenty of spandex. 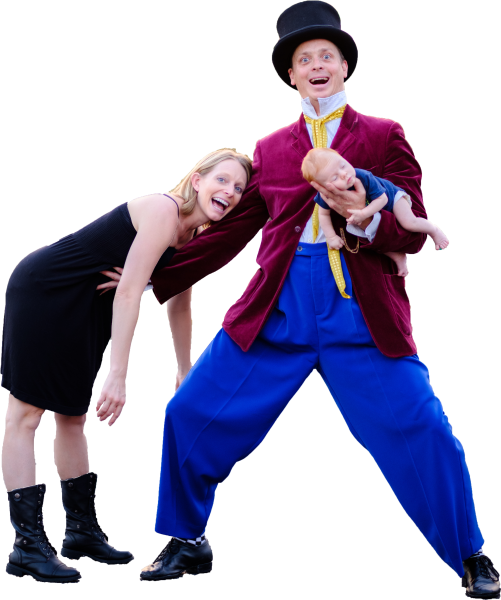 We construct a highly engaging and heartfelt comedy encounter through clown, variety arts and storytelling. Let us host your event show party! We specialize in cultivating a unique and personal experience for our audiences, striving to make everyone feel like family...unless you don't like your family then super good friends! Yes, we are indeed married! We spend a ton of time together cooking, traveling, pursuing artistic gratification, laughing, walking, hiking and enjoying our greatest collaboration; our son, who is rad. 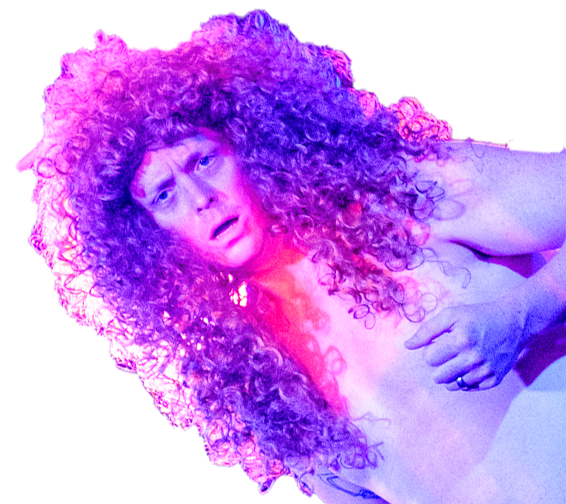 "ENGAGING, CAPTIVATING AND OUTRAGOUSLY FUNNY!" 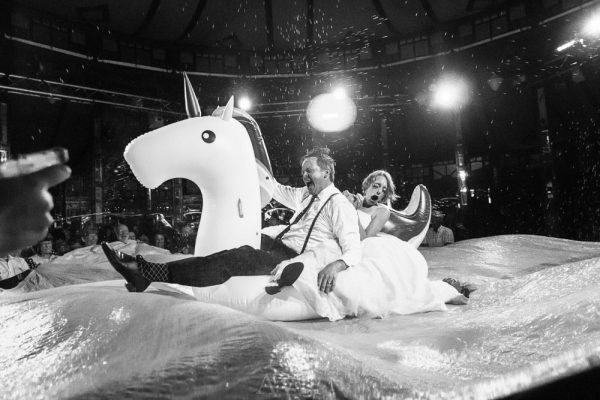 Matthew Morgan and Heidi Brucker Morgan are entertainers, clowns, actors, comedians and producers who travel the world working together as a husband and wife team. 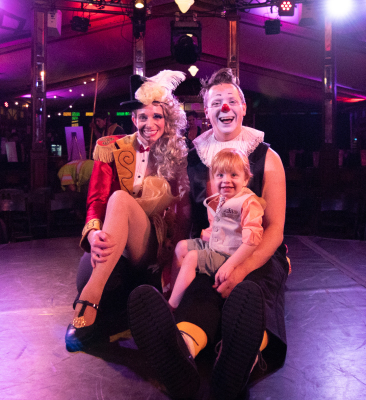 In addition to running their own theater company, Shotspeare , they perform in, write and create numerous live theater productions and circus shows across the globe, check out the Stinky Monkey ! They also, in collaboartion with Dario and Kerlly Vazquez, perform in and produce their own venue called The Petite Palace . 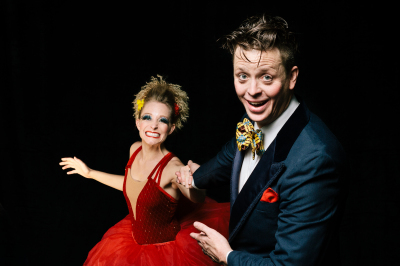 Matthew is a graduate of the Ringling Bros. Clown College and a former Ringling Bros. and Barnum & Bailey Clown. Heidi Brucker Morgan is a graduate of the University of Washington School of Drama, the Groundlings of Los Angeles, and has acted in a number of TV and film productions. Matthew is originally from Los Angeles, California, and Heidi hails from Omak, Washington.
" ASSORTED NONSENSE TO INSANE TO EXPLAIN"